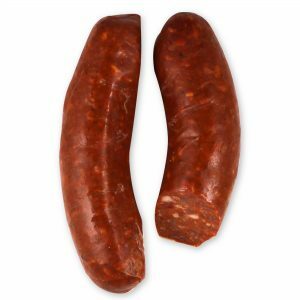 This skinny pork bratwurst can trace it’s roots back to the historic German town of Nürnberg. In Nürnberg, these petit sausages are often served three to a bun, Drei im Weckla, as popular street food. Or when prepared at home they make an excellent breakfast sausage. 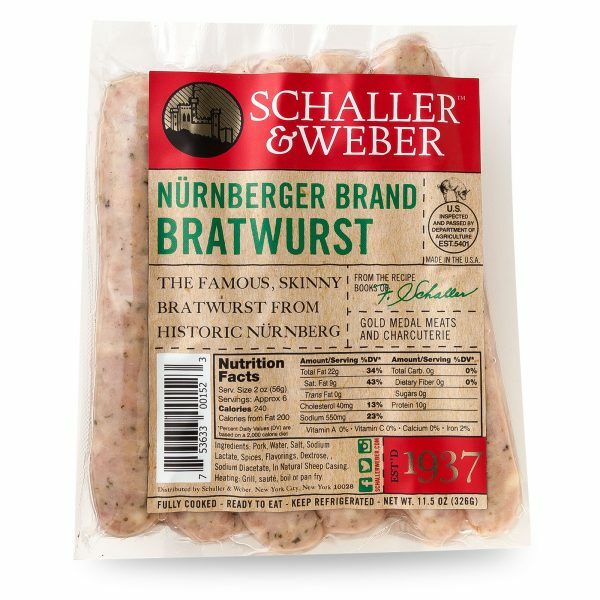 Respecting the traditional recipe, Schaller & Weber Nürnberger Bratwurst are packed in natural sheep casing, giving a resounding snap to each bite. Of course like all of our bratwurst, these are great with sauerkraut and mustard.